A quick and easy side dish that wows! In a medium sauce pan, melt the butter over medium heat. Toss in the carrots, agave and brown sugar. 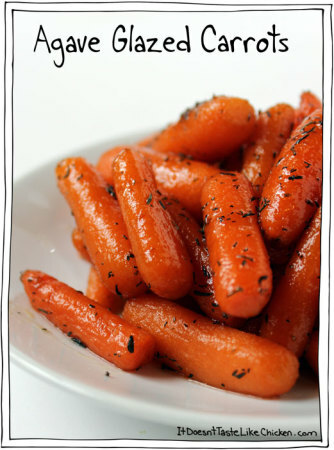 Cover and let cook for 10 - 15 minutes giving them a stir every now and then, until carrots are fork tender. Add the thyme and lemon juice, stir to combine, and serve.